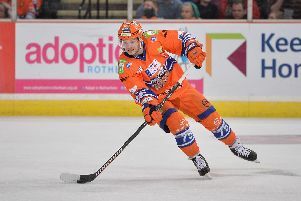 Sheffield Steelers are homing in on their final import forward. “It’s taken a while but I think we are a lot closer” said coach Paul Thompson. “I’ve had options for this position but I needed to get the right style of player who fits in with what he have around him. We’ve chased one guy for a while and that might or might not happen; I can’t wait forever. We have work permits and visas to obtain before training camp starts in early August.